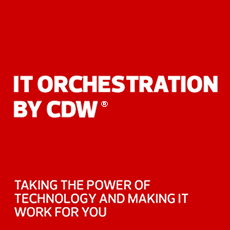 CDW Warranty and Maintenance Services help protect your IT investment. When you put resources toward new technology, you expect it to last. Most manufacturers offer warranties, but they can be limited in scope and you may have to wait awhile for repairs. To better meet your needs, we offer expanded and extended warranties on nearly every product we sell. You get options such as speedier response times, accidental breakage coverage and onsite repairs. And with our custom maintenance contracts, you’ll have experts on call and break/fix agreements that cover repair or replacement of your hardware. So you can keep your equipment — and your organization — running. Give us a call at 800.800.4239 to learn more about CDW Warranty and Maintenance Services. Watch a demo of the easy-to-use CDW Product Protection claims portal, administered by Safeware and available 24/7. Whether it’s extending original manufacturer warranties or protecting your investments, CDW can build a custom maintenance plan for all your critical technology, so your organization stays up and running at a fraction of the cost. Maintenance Contracts offer one easily manageable service contract that can cover all your IT equipment, regardless of the manufacturer, with just one expiration date and a single point of contact for repairs. CDW Product Protection gives you the flexibility to customize an extended warranty and service program. We'll help you get the most out of your technology investments with onsite service and no deductibles or hidden fees. Multiyear CDW Product Protection plans give you a 24/7 claims portal for extended warranty coverage on your laptops, tablets, printers, monitors and other end-user technologies. Supported by a nationwide network of technicians, CDW Product Protection goes beyond the standard manufacturer’s warranty with 100% parts and labor coverage and no hidden deductibles or fees. Unplanned downtime in your data center can spell disaster: the cost of a single service event can exceed the cost of an extended service plan. To protect your investment, we offer hardware maintenance and service plans from partners such as HP alongside a team of CDW specialists focused on data center implementation and support. We offer annual maintenance agreements and contracts that cover the repair or replacement of in- or out-of-warranty equipment. You can blend products from multiple manufacturers into a single contract — giving you a single toll-free support number for all vendors and products. With coterminous support, you can roll your existing manufacturer support plans into one with a common end date to avoid a coverage lapse. When your hardware has multiple warranty end dates and service providers, you may find yourself unable to get support when you need it most. We can help you consolidate your warranty expirations and service contracts to simplify warranty tracking and give you a single point of contact for support. Retainer contracts allow you to purchase a designated block of time that guarantees you access to field service and support staff, including systems engineers, network technicians, PC and printer repair technicians, and more. Shipping equipment back to the manufacturer and waiting for repair can take weeks. With our onsite services, we can come to where the problem is and get you up and running in as little as a few hours. We streamline the support process with flexible service-level agreement (SLA) options, contracts that cover technology from multiple manufacturers and a single number to call when you need help. Don’t be caught off guard with a lapse in coverage. We offer coterminous support agreements that consolidate your existing manufacturer support plans under one end date. Call us at 800.800.4239 to learn more about CDW Warranty and Maintenance Services.